in the immediate vicinity of the characteristic city centre , close to all services , in a private position within a typical condominium complex , convenient studio apartment internally comprises entrance hall , single compartment placed in day area / sleeping area , kitchenette , bathroom with shower and a small double room, handcrafted from the current part promisor seller through the installation of a curtain that provides a lightweight privacy to the users ; excellent condition of the interior thanks to a recent restoration of the interior carried out by the current owner ; free condominium expenses ; possibility of parking your car in the nearby public car park ; thanks to its characteristics the property in question lends itself perfectly to be conceived as an investment for the realisation of income from summer rentals , alternatively, as a second home for your vacations. 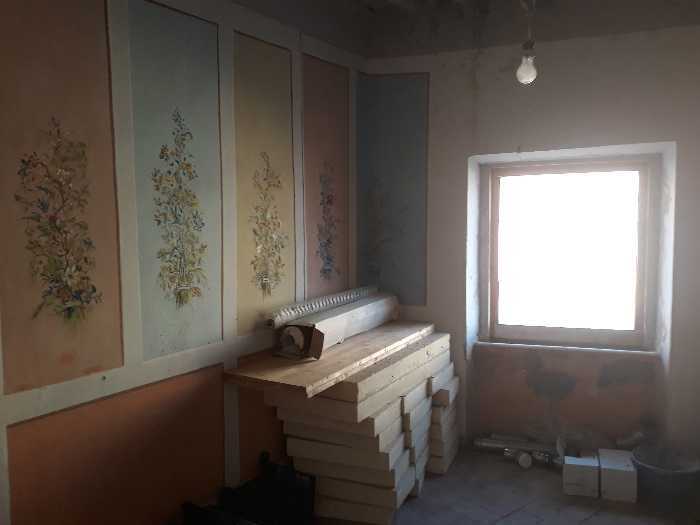 all' inside of the typical historical centre , near the main square and all services , located on the first floor of neat building important real estate unit of about 300 sqm, disposed internally on three levels and consists of various compartments to be arranged depending on the needs of the part promissaria buyer to a multipurpose, various nineteenth-century frescoed ceilings, all contribute to paint a single frame to the property in question ; the state of the interior to be completely restructured ; the existing project is realized by the technical surveyor of the part of promisor seller which has hypothesized the creation , depending on your needs , of six spacious two-bedroom apartments of about 50 sqm each ; a view of the sea from the floor-the floor level and the upper floor; free condominium expenses ; thanks to its characteristics the property in question lends itself perfectly to a varied existence , both as an important first residence to live during the entire annual period , both as a second home for your vacations , in the alternative as an investment for disposals of properties to be leased during the period of the season / summer , even as I realize is small to medium in structure of the receptive character of BeB , inns and the like. two-roomed apartment of about 40 sqm, with independent entrance in the historical centre of the picturesque and peaceful village of Rio nell'elba. On the ground floor large living room with kitchenette, which is illuminated by large window-door and extra window, and a storage room under the stairs. The upper floor double bedroom and bathroom with shower. Floors and coverings in marble and travertine is not polished and tiled in glass Bisazza. Recessed lighting in the ceiling, fully insulated with masonry walls that provide an environment that is dry and cool in the summer. Skylights, insulation and wooden shutters new special PVC wood effect. Exposure is excellent in a small alley quiet but bright. It is sold furnished. in the vicinity of the quiet and secluded seaside resort , in a characteristic tourist resort , very lively and popular during the summer period , inside small complex consists of only seven units , a spacious two-room apartment , located on the ground floor , internally composed of entrance , living room with kitchen , double bedroom and bathroom with shower ; large panoramic terrace with sea view placed in front of the living room ; assigned parking ; excellent condition of the interior ; thanks to its characteristics the property in question lends itself perfectly to be conceived as a pied a terre for your holidays , or alternatively as an investment for the realisation of income from summer rentals. ; service charges quantized in about € 800 / year ; swimming pool for shared use ; the request is negotiable. 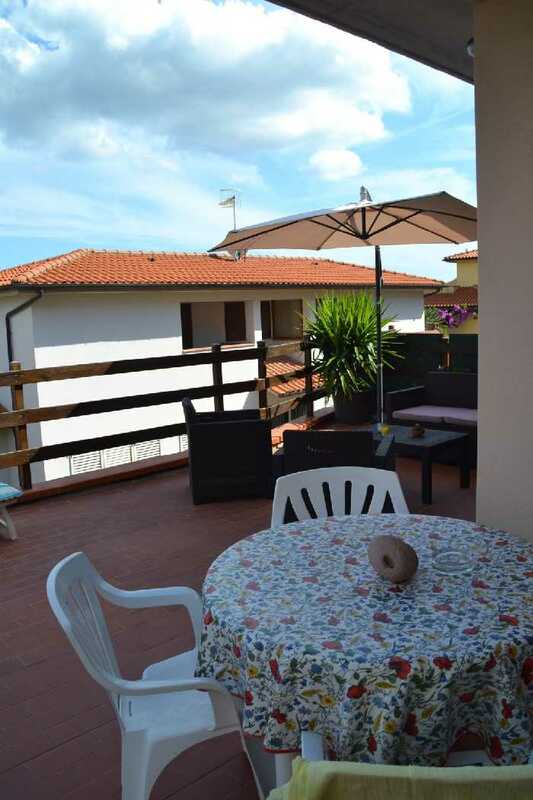 RIO NELL'ELBA: A short distance from the town center and the main services, apartment with separate entrance internally composed of living room with kitchenette, bedroom, bathroom, large terrace overlooking the sea, large studio in the basement with bathroom. A place full car ownership. The apartment is in good maintenance condition. 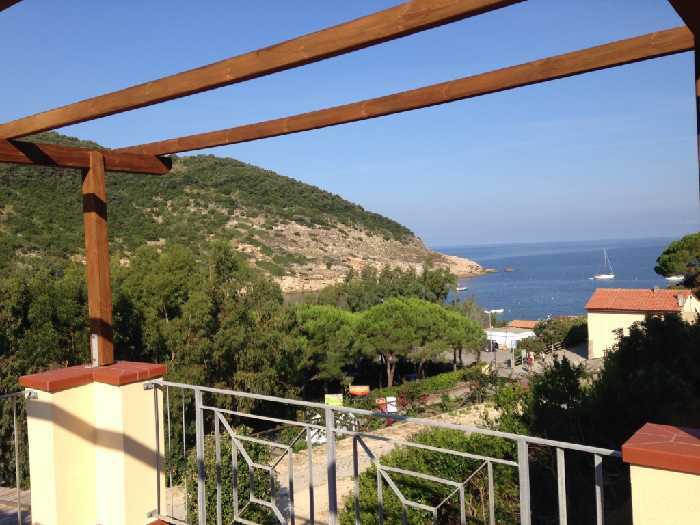 RIO NELL'ELBA: A short distance from the town center and the main services, apartment with separate entrance internally composed of living room with kitchenette, bedroom, bathroom, large terrace overlooking the sea, the large basement cellar. A place full car ownership. The apartment is in good maintenance condition. 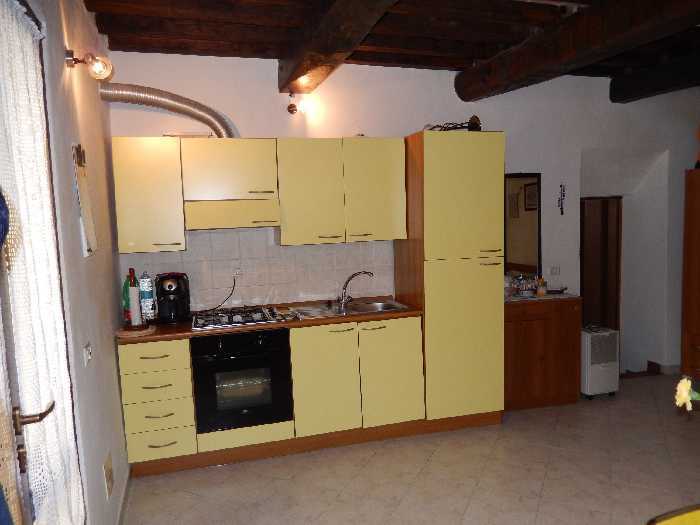 Rio nell'Elba: sale newly renovated apartment on two levels so composed. ground floor living room with kitchenette and the upper master bedroom and bathroom floor. 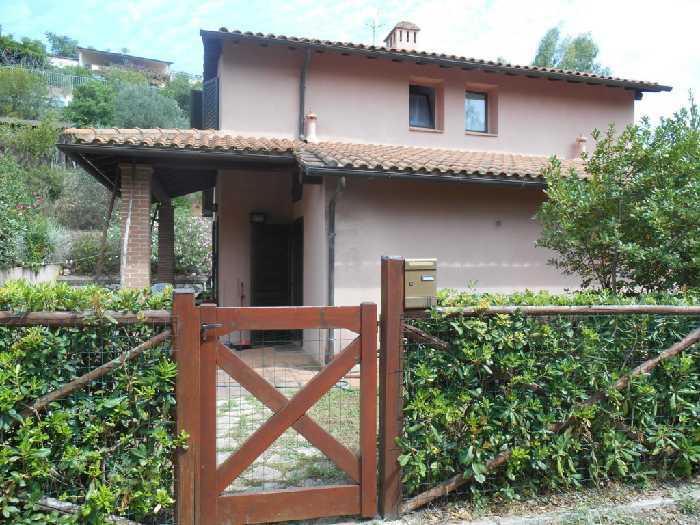 RIO NELL'ELBA: the portion free on three sides with independent entrance consisting of living area with kitchenette, double bedroom, single bedroom and bathroom. Storage room with boiler room and large panoramic terrace with sea view. Included in the sale garage, and spacious tavern equipped with bathroom. It is sold furnished. Bagnaia - in exclusive residential complex with all the amenities characterized as being immersed in the green and well-kept lawns shaded by pleasant expanse of olive trees to define the paths and facilities of the property. Within the complex just a few metres from the sea we propose three-roomed apartment of 70 sqm with terrace and balcony, internally composed of living room, kitchen, two double bedrooms and bathroom. The apartment is sold including a garage of considerable size, and ability to use the services of the residence including two swimming pools, a park with itineraries, tennis courts, annual surveillance, restaurant and many other agreement with the structure. RIO NELL'ELBA : in a convenient building, at only 50 mt from the main square and centre of the country, for sale apartment of about 70 square meters, recently renovated, composed of: corridor, living room, kitchen, two bedrooms and utility room. Excellent investment to use as a first home and also as a solution to be used for a realization of income from summer rentals. Rio nell'elba : in the centre of the village on the mezzanine floor for sale, two-roomed apartment recently renovated internally comprises entrance hall, living room with kitchenette , bedroom and bathroom. From the bedroom you can enjoy a pleasant view of the sea. On the lower floor, with an entrance on the street-independent, we find a large room equipped with independent bathroom and preparation for second kitchen. RIO NELL'ELBA: all 'inside of the characteristic historical center of the town, a few steps from the central square and all services, two-room apartment of 40 square meters, located on the ground floor of the historic building internally comprises entrance hall, living room with kitchen , double bedroom and bathroom with shower. Free of expenses. Recently renovated. RIO NELL'ELBA: sale nice one bedroom apartment located in one of the characteristic streets of the town center with living room, kitchen, bedroom and bathroom.